Romelu Lukaku has admitted he would be open to leaving Manchester United to play in Italy, and claimed current Serie A champions Juventus have a "great project" in place. 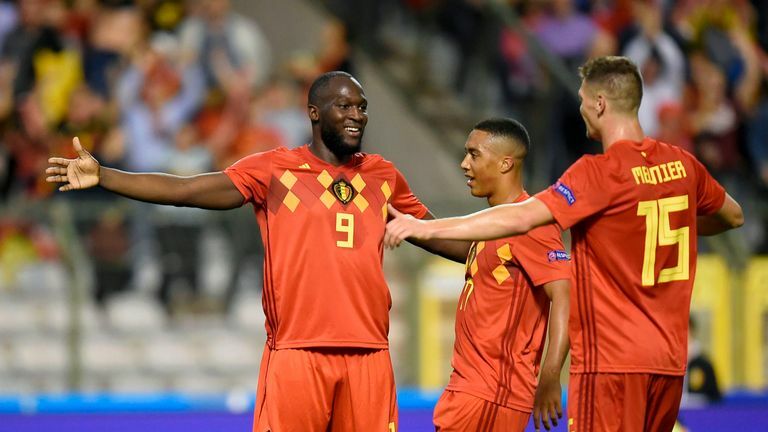 The Belgian striker has started 10 of United's 11 games so far this season, scoring four times, and moved onto 45 goals for his country with a double in Friday's 2-1 win over Switzerland on Friday. The 25-year-old's current contract at Old Trafford expires in 2022, having signed a five-year deal - with the option for a further 12 months - when joining United from Everton last year. But when asked if he would be open to a future move to Italy, Lukaku told Gazzetta dello Sport: "Why not? I hope it happens." Lukaku also called Juventus one of the top sides in Europe, with United set to host the Italians in the Champions League group stages next week before travelling to Turin in November. He added: "Juve have a great project in place and they just keep going. Every year they try to get stronger. "Without doubt, Juve are one of the two or three best teams in Europe. They've got a great coach on the bench and extraordinary players in every area of the team. "Cristiano Ronaldo stands out, but watch out for the others too. Paulo Dybala is already impressive and getting stronger, while I love Douglas Costa." Manchester City manager Pep Guardiola also revealed his admiration for Italian football while speaking at the Festival dello Sport over the weekend and refused to rule out a possible move to Serie A in the future. He said: "A bench in Italy? Why not. Mourinho, Hazard to Real Madrid? "I would never have said that I would go to Germany and that I would learn German. Here you eat well. "Defending well is a talent and you are masters. Life is this, we win and lose, but I am convinced that in Italy there are very good players and they can do very well."